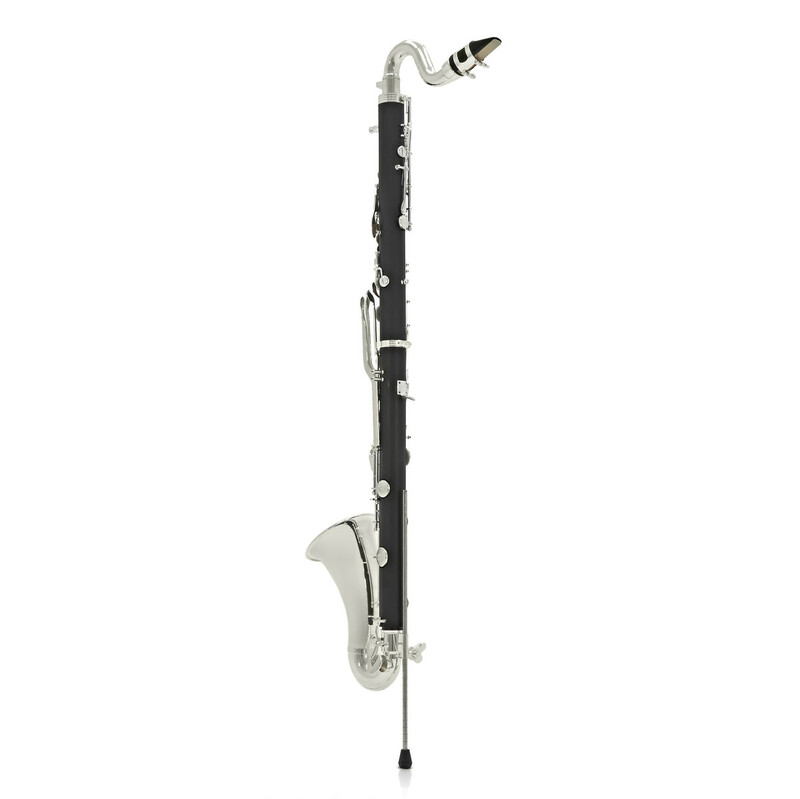 The superb quality Bass Clarinet by Gear4music is now available at a breakthrough price. 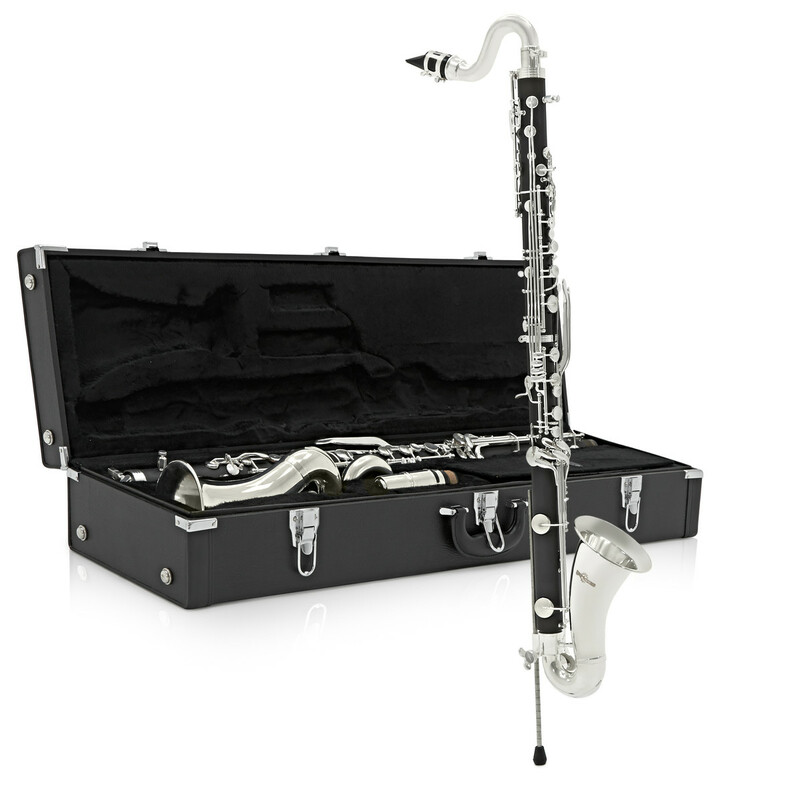 With features, including silver plated hardware and an ABS resin body combining to create deep, warm tones, the Bass Clarinet by Gear4music has been improved and upgraded for 2014 and comes with a lightweight hard case; creating unmatched value for a professional instrument of this calibre. The ABS body of the Bass Clarinet by Gear4music produces a lovely warm sound, and is easier for younger players and beginners to learn, as it is lighter than more expensive wooden models. 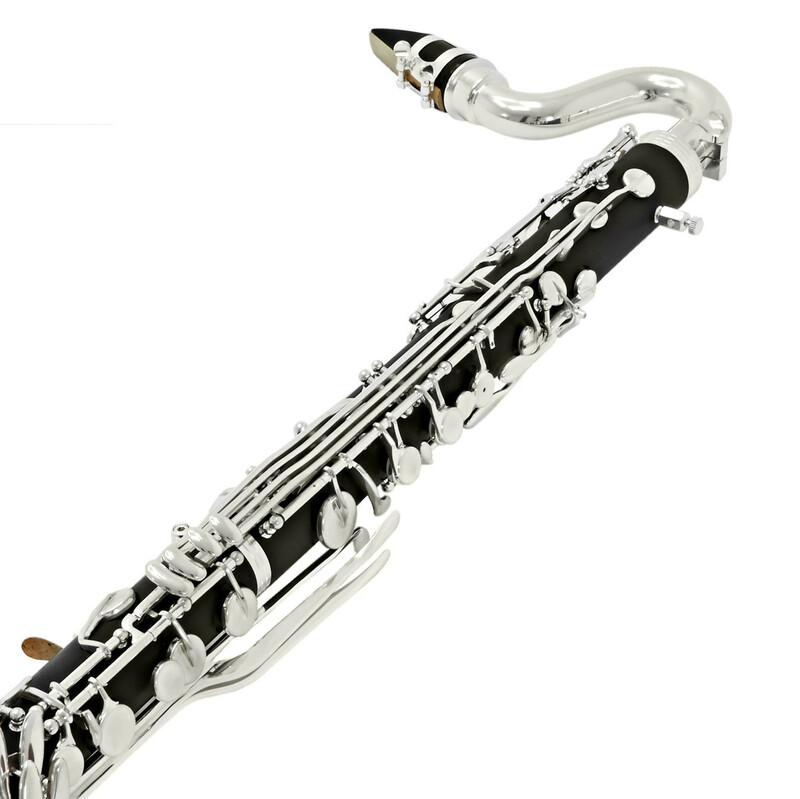 This clarinet gives you the deep, warm tones you'd expect from a much more highly regarded brand instrument, but for a fraction of the cost. Silver plated hardware and a resin body and finish achieve the same value for money in the looks department. 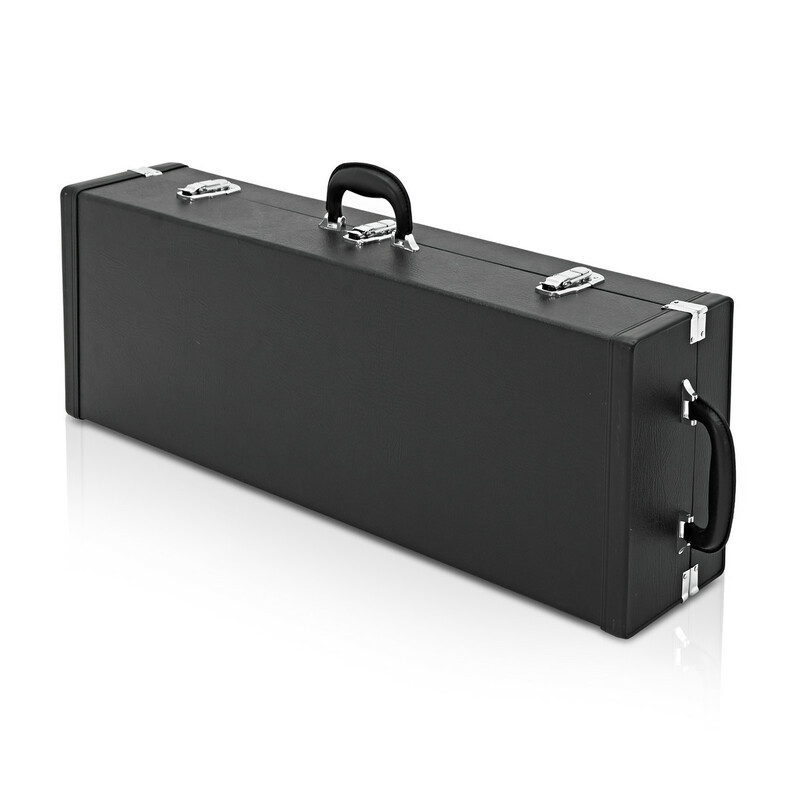 Supplied complete with a hard case and accessories, you won't believe what you are getting for your money; the Bass Clarinet by Gear4music will make you the envy of your ensemble. This instrument includes a free set up by master technicians in the UK so that it reaches you in great condition. 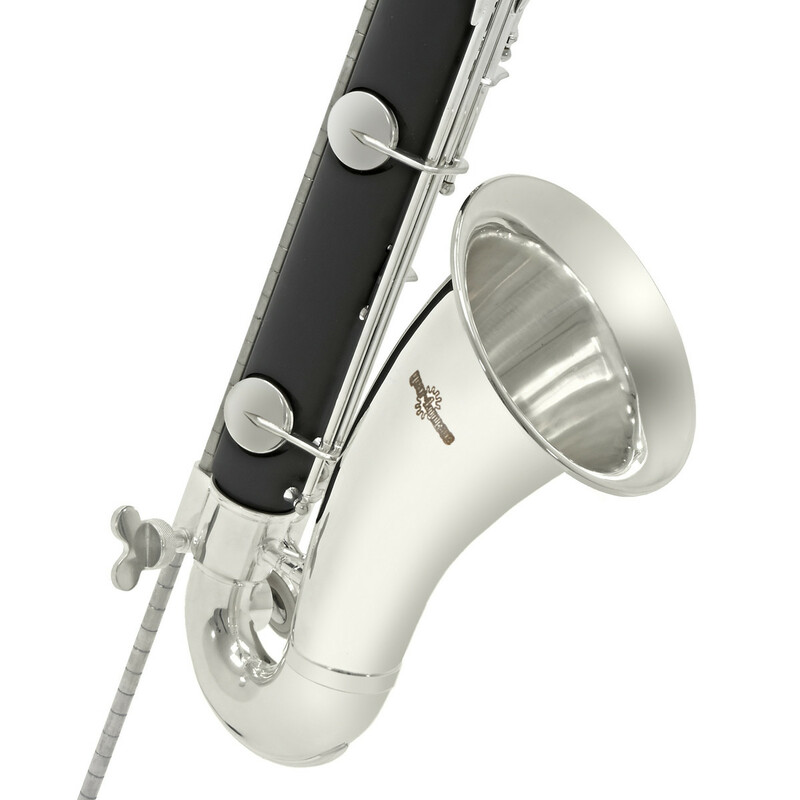 This set up includes any regulation, lubrication and adjustments required to make the instrument play superbly straight out of the box.